PaveSafe Pavers are the perfect addition to any barn. 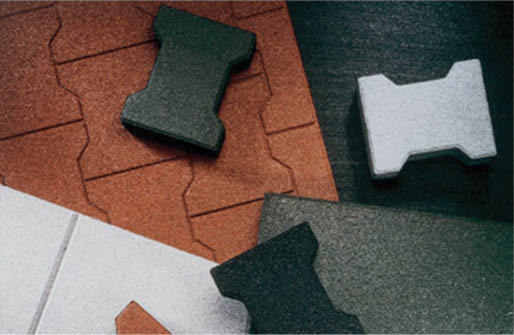 The rubber pavers are easy to install and virtually maintenance free. They also ensure that the risk of injury for horses, riders and groomers remains at a minimum because of their superior coefficient of friction in both wet and dry conditions. Let us help you add this paving solution to your barn or horse arena by contacting us today! 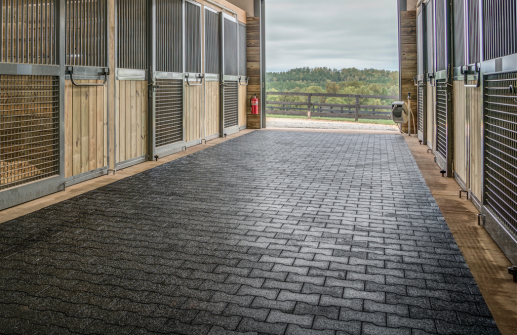 The PaveSafe Pavers and Tiles provided by Amberway Equine are manufactured by a unique proprietary re-bonding process that converts 100% premium quality recycled rubber into pristine clean, rubber material of superior physical properties. Along with being a slip-resistant paving solution, Pave Safe has anti-shock and bacteria controlling properties. This makes it a surface that is easy to maintain, as well as a healthy choice for your barn. The earthy color options and cobblestone nature help to enhance the appearance of any equine surface, by replacing the traditional dirty, dusty and slippery hard surfaces you are used to. 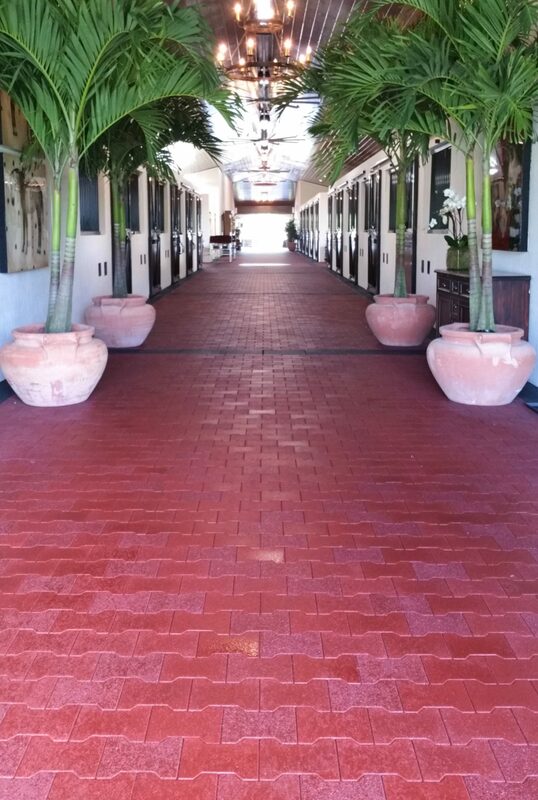 The PaveSave pavers are available in full or half pavers and paver tiles to ensure a convenient installation in any equestrian application. 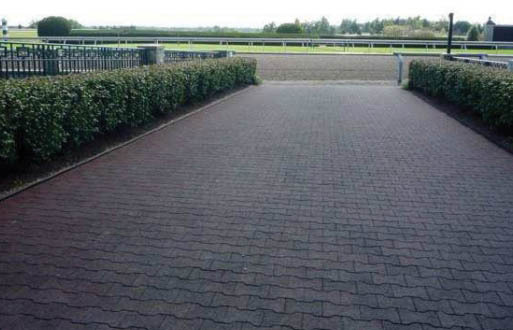 PaveSafe pavers are ideal for aisle ways, parade and saddling areas, barn corridors, service roads, stalls, wash bays, grooming stalls, feed rooms, and breeding sheds. 42 pavers per sq. ft.